The editor of an influential Jesuit periodical whose content is allegedly vetted by Pope Francis has penned an important new article on last month’s Ordinary Synod on the Family in which he controversially claims the meeting “laid the foundations” for civilly remarried divorcees to be admitted to the sacraments. Noting that the report says such discernment would be guided by a priest in the “internal forum” (in the confessional), Father Spadaro said that “concerning access to the sacraments, the ordinary synod has therefore effectively laid the foundations, opening a door” that had been “closed” at the “previous synod”. He added that “one may rightly speak of a new step” because last year the issue failed to attain a two-thirds majority of synod fathers. The issue would therefore normally have been rejected had Pope Francis not insisted the issue be carried over into last month’s meeting. Father Spadaro’s comments, first brought to wider public attention in an article by the Italian Vaticanist Sandro Magister, run contrary to many assurances from other synod fathers who stressed that no door had been opened at the synod to holy Communion for remarried divorcees as the sacraments aren’t in any way mentioned in the relevant paragraphs. The Jesuit also said the “key to the work of the synod” and an “important element to understanding the process the Pope has started” is to look at two quotes from Francis that he gave at the beginning and at the end of the synod. As well as every edition of La Civiltà Cattolica passing the scrutiny of the Secretariat of State and, during this pontificate, apparently Pope Francis himself, Father Spadaro is also one of the Holy Father’s closest advisers. This has lead Magister and others to conclude that he essentially speaks for Francis and is therefore giving clues as to the probable contents of the Holy Father’s concluding document on the Synod on the Family, expected to appear in a few months. I find everything in this post about the twisted views of the Pope’s advisor, plus that in the “latest post” from Edward Pentin (linked to it below), quoting relevant sentences from the latest speech of Pope Francis, can all be best described as a cunning, deviant attempt to corrupt the Church’s doctrinal teaching on the sanctity of Holy Matrimony. And in this linked-to post it is the Pope making this heretical speech, looking for ways to “change” the Deposit of Faith!! If it weren’t for the fact that by now we know well what has been afoot ever since he was elected to the Chair of Peter [N.B. in an inarguable rigged election] we just would not be able to take it in! This is Modernism in its purest form – the heresy that has been condemned by so many of the fine popes of the last centuries. 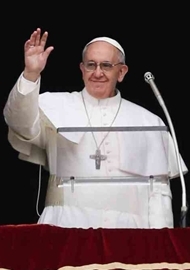 Pope Francis wants the Church to go along with the world… instead of standing as a bulwark, strong and pure against Her enemies with their errors and worldly values! I’m not actually particularly surprised by the above article, given that a.) the Jesuit order (unfortunately, as it was founded to reinvigorate the Church through an increased fealty to her teachings and a devotion to applying those teachings in all places and situations whilst remaining steadfastly true to those very same principles which animated it) has won itself a reputation* for taking even the tiniest bit of ambiguity in a text or situation and exploiting it in ways that undermine the Deposit of Faith; and b.) that we already know paragraphs 84-86 could do with some, shall we say, ‘tidying up’! With respect to a. ), Fr. Spadaro, rather than looking at the now-notorious paragraphs in light of magisterial teaching, chooses to interpret them through the lens of two sentences of Pope Francis’ (one from the opening and one from the closing of the Synod) and even uses the ‘field hospital’ motif to suggest opening doors which we know can never be opened. Now, it is clear by now (even to myself, who had tried for a good while to allow some hope that he was just employing his usual ‘hagan lio’ tactics in order to clear out tensions within the Church – a position I no longer find tenable) that the Holy Father is in support of the Kasperite proposals, and also that the ‘progressive’ party are busy thinking of ways they can use 84-86 to justify such a move. But this we already knew, and the problem for these is that, however ambiguous the paragraphs may be, they are not ambiguous enough to overturn centuries of apostolic-magisterial teaching founded upon the clear words of Our Lord. The fight will continue, but the boundaries that actually need to be breached by Kasper and co are as clear as ever. What is more concerning to me is the second link, which, providing several citations, shows the Holy Father drastically misapplying what are in essence key principles of Catholic orthodoxy. It is true that Pelagianism and Gnosticism are two of the oldest heresies there are, and that they underpin a good deal of the other major heresies of Church history. It is also true that the Church, moving forward in history, must always find new ways to present her teachings to changing cultural situations. But to apply these categories to people who simply want to defend the core teaching of Christ on marriage, etc, and to set this over and against a supposedly more merciful, vague approach which would have the long-term effect of leaving the faithful without foundations for their hope, is more reminiscent of some of the pietistic forms of Protestantism that emerged in the 18th Century than what one would expect from the See of Peter (c.f. ; Kathleen’s quote from Pope Benedict XIV on Leo the Great as a good example of the latter). *Just to be clear though, I don’t want to tar all Jesuits with the same brush here – I realise that the Society of Jesus is a massive order, and that there are very many faithful diligent members out there too. It is just unfortunate that, in the West at least, the universities and colleges it runs are notorious for being houses of dissent, and that their most notable spokesmen are all too rarely upholders of orthodoxy. Saints Ignatius of Loyola, Francis Xavier, Robert Bellarmine, etc would not be pleased! This is unprecedented in the history of Holy Church. The viciousness at which Fr Bergoglio (as he prefers to be called) defends heterodoxy is nothing short of pertinacious heresy. Quite frankly we are dealing with evil that is pretending to rule on St Peter’s Chair. And it must be dealt with by the morally courageous that are among the episcopate because bergoglio is, in effect, wrecking the hierarchy even more with his appointments as well as false doctrine here. He really must be indicted, deposed, or forced to resign. 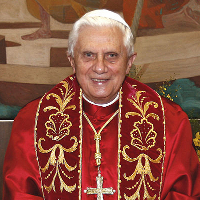 If he doesn’t budge, still an investigating committee must act as to the likelihood that Benedict is still Pope, who, if he is not willing to entertain this, then a new conclave must take place – again I say, before Bergoglio and company transform the visible church into the apostate one, the very whore of Babylon. I don’t think so. Not only have there been some pretty dodgy popes in the past (though, thankfully, their numbers are far smaller than popular history would like people to believe, and the vast majority of popes have been sound) but some have indeed actually entertained heterodox ideas. One notable examples is Honorius I (reigned 625-638), who, in his correspondence with the Patriarch of Constantinople not only failed to condemn the heresy of monothelitism, but came very close to condoning it himself. Also John XXII (rd. 1316-1334) publicy preached the idea that those who died in faith did not enjoy the Beatific Vision until after the Final Judgement. John XXII finally backed down from his position, whereas it is not known if Honorius I ever did, or if he actually understood the implications of the ideas he was entertaining. 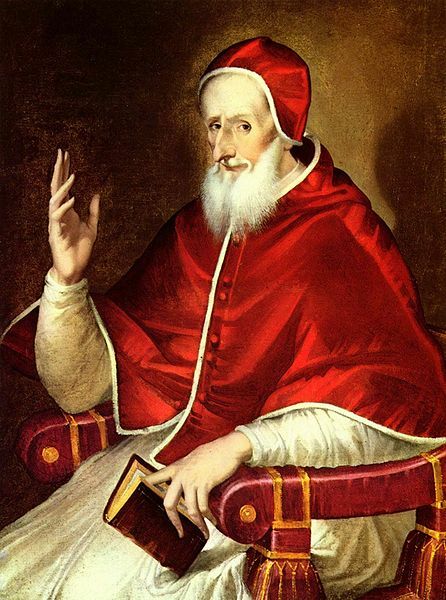 But neither of them actually enshrined heretical ideas in official documents, nor did they teach such as being binding on the faithful or anything else that would even come close to satisfying the criteria for an infallible papal pronouncement. However, they did both believe and publicly teach heresy. It would not surprise me if there had been other instances of this as well – the point is that this is not unprecedented, and the Church survived, despite what these popes believed and wrote/taught. Really? I wasn’t aware of this. I know of his preference at times to be referred to as ‘Bishop of Rome’, but that’s about it. I’m not saying that he doesn’t prefer ‘Fr. Bergoglio’ mind, just that it’s not something I’ve heard of. It is a lesson in humility for me as when we were asked to ‘Adopt a Bishop’ during the Synod, I actually got Spadaro. I should have prayed more and harder. Despite the media loving him, is it just that Pope Francis has very little understanding of modern-day mass media? Perhaps. It would certainly explain a lot. Doesn’t explain his apparent desire to introduce changes that would significantly undermine definitive Church doctrine, but it would explain the confusion. Wise words from Gertrude… yet personally speaking I cannot do more than fully sympathise with those Catholics, like monk johanan, who feel so desperate at this unprecedented situation (well, unprecedented at least in our lifetimes). The constant stream of the Holy Father’s words and actions we hear about through the Catholic media practically every day that are so intrinsically unorthodox towards the One True Faith, coming from he who has been elected to be their foremost defender, is terribly unsettling and distressing*. “We’re two and a half years into this pontificate. But it’s only in the past month that ordinary conservative Catholics, as opposed to hardline traditionalists, have started saying that Pope Francis is out of control. Well worth reading if you have not already done so. * I no longer pray for the Holy Father’s intentions (except for the official ones that are hopefully vetted by the Vatican beforehand). I’m too scared and uncertain what his personal “intentions” might be!! Instead I pray hard that the Holy Spirit will guide and enlighten him towards Catholic Truth and that he would become a worthy successor of St Peter. Essentially the author’s point seems to be that it is our duty to pray for the intentions of a pope, but that in doing so we do not necessarily advocate anything that a given pope might intend – we only do so out of filial duty towards whoever holds the papal office. Most importantly of all though is the point that all our prayers are accompanied by the proviso ‘thy will be done’ – and we know that God’s will is not for any unholy (or foolish) intentions – papal or otherwise – to be realised. The author’s suggestion that our prayers for the intentions of the Pope in our current situation would most likely be re-applied in some other way, ala prayers for the dead when the person we pray for is already in Heaven, seems to me to be a good way of looking at it. Even without “judging” the soul of the Holy Father though, knowing that among his intentions might well be hopes that his favourites’ (Kaspar, Marx, Daneels et al) plans for changing the Church’s doctrine should triumph over what he calls the Pharasaical cardinals, makes it really difficult to overcome one’s reticence to pray for said “intentions” all the same. I mean, just look at what Edward Pentin reports he said in that recent speech! It sounds like pure Protestantism to me! Well, I’m glad you found it useful, but I certainly didn’t mean for you to feel chastised! 🙂 Also, I know what you mean about the language regarding judgment of others – although the way the author uses this term is correct (in that we cannot ever judge a person entire, not knowing their soul) it is a phrase/term that has been abused so much recently that when I first read it I was taken aback a bit. We certainly can judge people’s speech and actions though, and I agree with what you say about the Holy Father’s speech sounding very Protestant, as well as the fact that it is extremely hard to garner the charity needed to pray for his intentions. As Gertude wisely writes above, this pontificate is, in many ways, a time of trial and purification! Your suggestion that we pray as well for an increase in the virtues and gifts of the Holy Spirit is a very good one, and an excellent way of combating that feeling of reticence that we all share at the moment.